Lakewood resident Kenneth G. could not believe his eyes upon returning home last Saturday. The yard surrounding the Arthur Avenue residence he and his wife have called home for more than three decades bared little resemblance to the property he had left a mere two hours earlier. A before and after comparison of the Arthur Avenue home. ‘Incredible’ is an apt description for the 27 men and women comprising the LakewoodAlive Board of Directors, which consists of individuals who live and/or work in Lakewood. 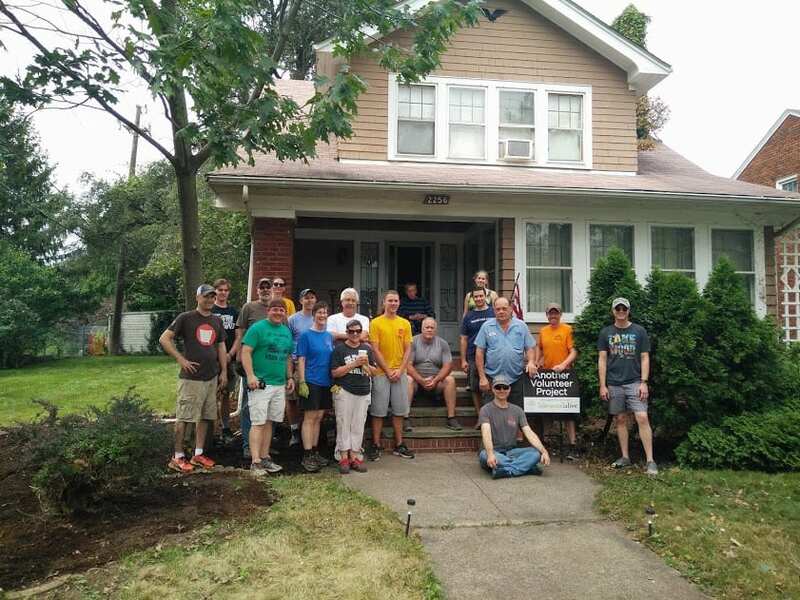 On this particular Saturday, this group joined forces with LakewoodAlive’s staff to complete a massive yard reclamation project on behalf of this elderly couple. 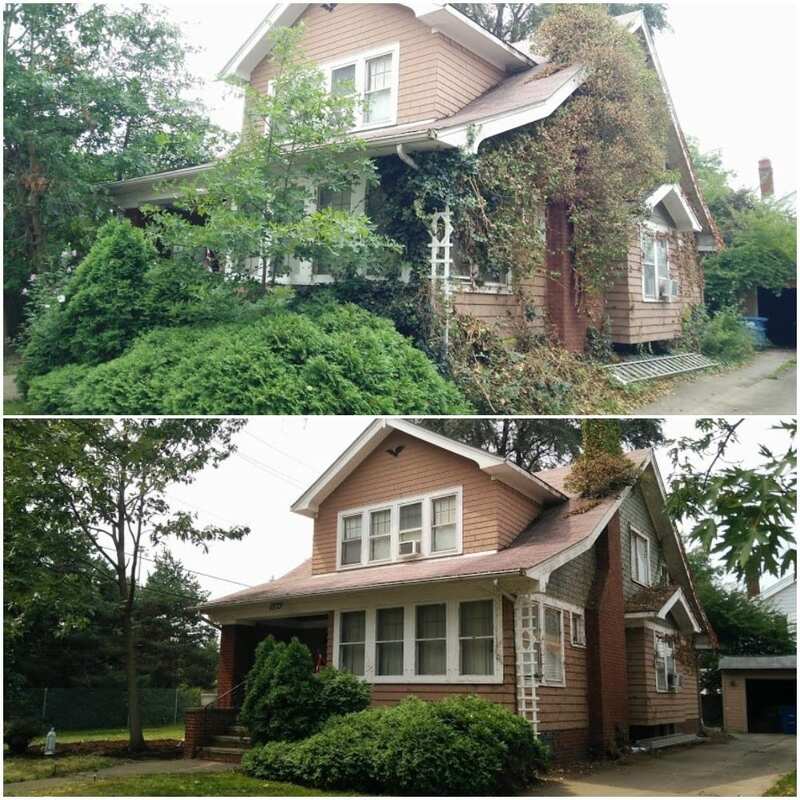 Suffering from severe mobility limitations, Kenneth – a U.S. Army veteran and retired Cleveland Police officer – and his wife had watched helplessly in recent years as their beautiful 1913 home had been overtaken by nature’s wrath. Tall grasses and weeds grew rampantly across the property and vines engulfed much of the home’s exterior. 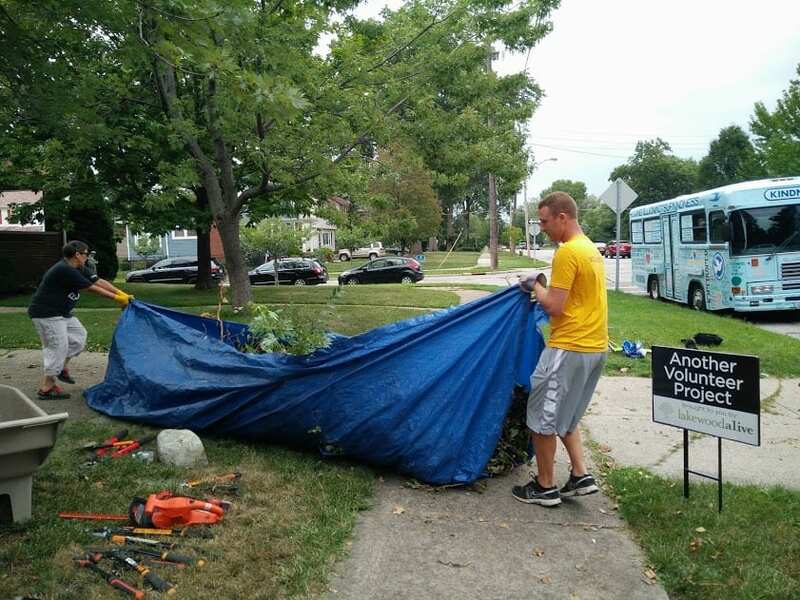 When the City of Lakewood put Kenneth in touch with LakewoodAlive, Housing Outreach Director Allison Urbanek knew exactly what to do, leveraging this opportunity to have board members tackle their annual late-summer volunteer project. 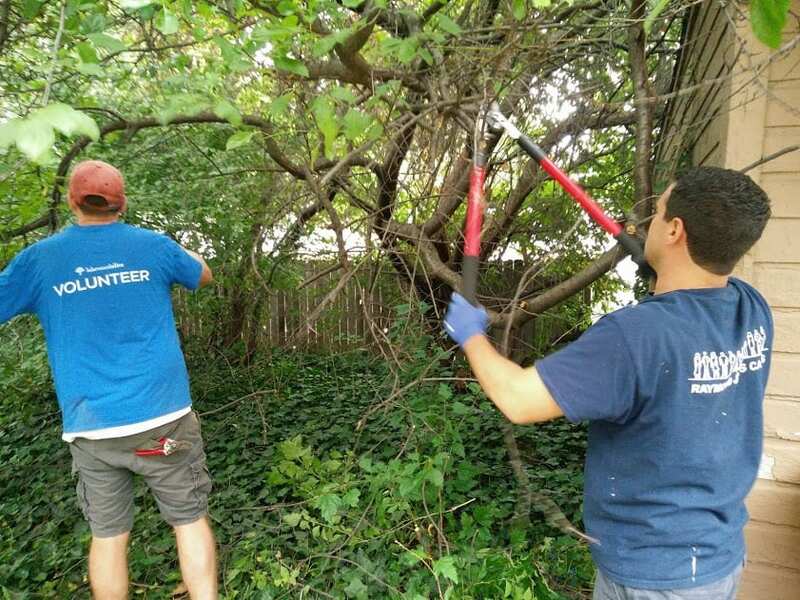 LakewoodAlive board and staff members descended upon the Arthur Avenue property on Saturday morning, August 25, equipped with yard cleanup tools and abundant enthusiasm. They spent the next two hours completing everything from vine and weed removal to leaf racking to tree trimming. LakewoodAlive board and staff members pose following the completion of the project. The end result? A night-and-day yard transformation that serves as a welcome change not only for Kenneth and his wife, but for their neighbors as well. 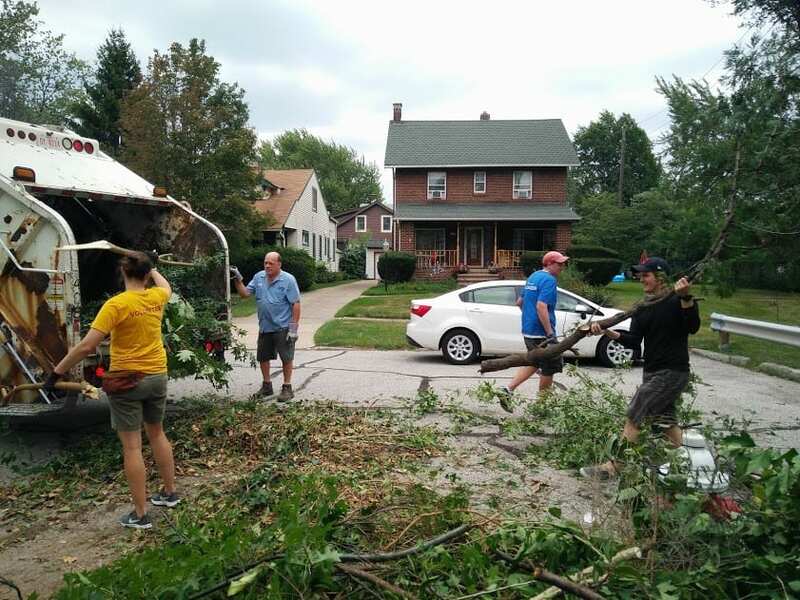 A big thank you goes out to Mark from the City of Lakewood’s Division of Refuse and Recycling, who brought a yard waste truck to the site and assisted with removing a small mountain of yard debris the group had piled on the tree lawn. 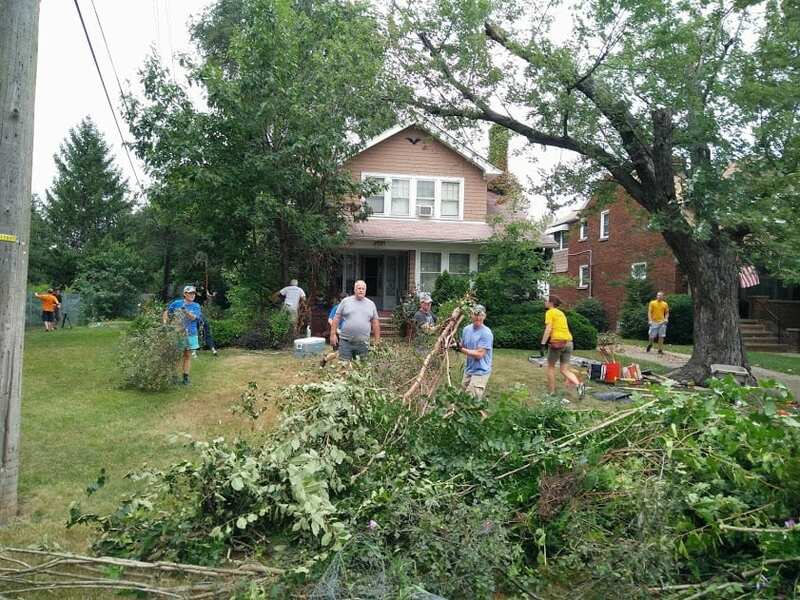 After completing this massive yard reclamation project, the group gathered at the home of a LakewoodAlive board member to celebrate with a picnic lunch. This volunteer-driven housing project represents the 32nd such undertaking completed by LakewoodAlive thus far in 2018. For more information regarding LakewoodAlive’s Housing Outreach Program, contact Allison Urbanek at aurbanek@lakewoodalive.org.